Happy Valentines Day! John and I don't really do anything for Valentines Day. In fact, we don't even do cards. Gasp! I know. I probably would make dinner if you know, it didn't gross me out to do it. Plus he's working late all this week so I doubt I'll see him for dinner. I know. So romantic. I had my check up yesterday with the midwife. She was not as fun as the first one I saw. It was all, only gain this much weight, you need to eat this, all the not so fun stuff. I know, someone had to do it, so we'll see how my next visit with her goes. I did get to hear the heart beat in all it's wonderful "whoosh whoosh." At my next appointment I'll be 17 weeks. I knew this would be too early for the anatomy scan, but I was also afraid they'd make me wait another month. She instead scheduled me for 2 weeks after that appointment, but John's going to be out of town. Guess that means we are definitely going to do a gender reveal photo opp. This is happening. I'm so excited. Virginia and I are going together and will have a blast. 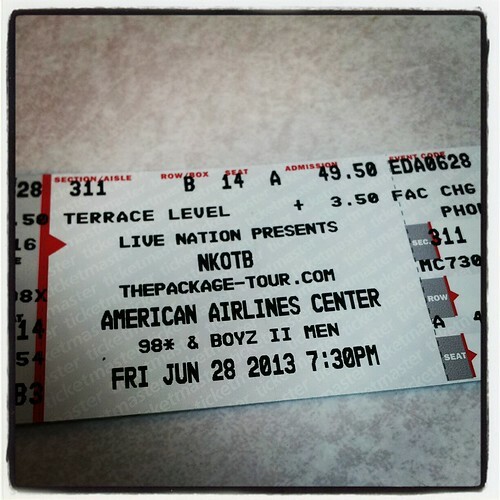 Yes, I know I saw New Kids more than once, but they're also going to be with 98 Degrees and Boys II Men! How is that NOT going to be awesomely hilarious? 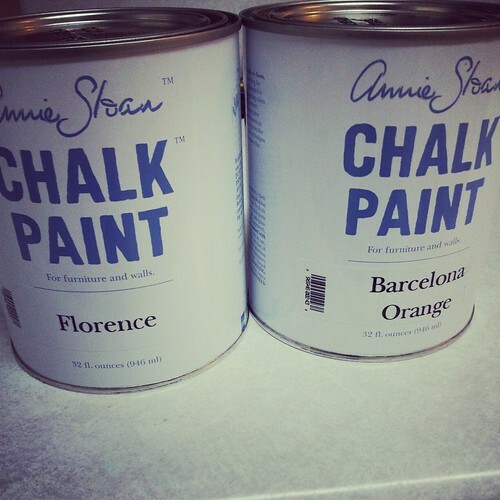 I drove to another town and spent a ton of money on two cans of chalk paint. I have a dresser and a hutch to paint so it better be worth it. Work is starting on the garden. We have the frames for the beds made, I've bought all the dirt, and some of the seeds. John has cleared out the space where we want to do it, but we need to cut some tree limbs down and level out the area where the previous owners had their garden. I'll do a full post on it later as well as the plans on how to keep the deer out of the garden. In about 5 weeks I'll be attending Blissdom in Dallas. I haven't posted about it yet and probably won't have elevenity billion posts on it like I did with BlogHer. I enjoyed every minute of BlogHer, but Blissdom is just so much more low key than BlogHer was. I don't feel the need to prep and try to figure out what to wear to sessions, parties, and sight seeing. It being within my home state and within driving distance (about 5 hours, how's that feel? A five hour drive and I'm not even close to a state line? Ha!) probably has a lot to do with it. The most I'm going to plan is my birthday brunch. I'm going to spend an extra day up there to celebrate with friends and spend some much needed girl time with Virginia. Ok, I kind of sort of lied on the whole what to wear to Blissdom. Only because I'm having trouble finding maternity pants, but it is my new mission. I don't really wear them now, (though I have because they're seriously the most comfortable pants on the planet) but I want to at least find a good pair of dark jeans that are long enough. We'll see how it goes. John has been busy working on the guest bathroom. He's torn out all the wallpaper and the florescent light. We need to install the new light and paint, but hey, we'll have a renovated room in the new house update soon! That's what's been occupying my time lately. What about you? I know Motherhood Maternity has tall maternity jean sizes if you need extra length (I love mine). Good luck with that busy schedule! I've been in but didn't look at pants. I'll have to try them out again. Thanks! We don't do anything for Valentine's Day either, glad to hear we're not the only ones. Can't wait for the gender reveal! So exciting. Lots of exciting this happening in your life! Can't wait to hear more! Share book reviews and ratings with Faith, and even join a book club on Goodreads. This is a Flickr badge showing public photos and videos from f_a_h. Make your own badge here.